The theme of May’s Look and Learn children’s art competition is “Fireworks”. The closing date is 9 June 2008. 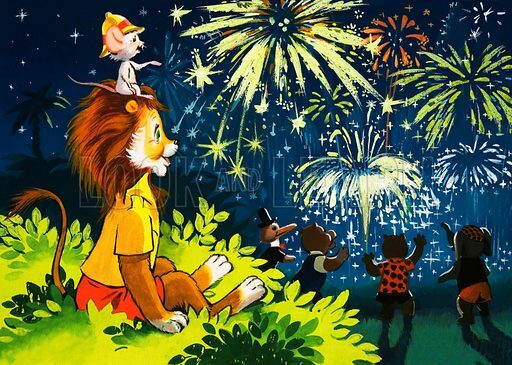 Here, by way of inspiration, is a picture of Leo the Friendly Lion watching the fireworks with some of his friends. The picture originally appeared in Playhour in 1960, and the artist is Virginio Livraghi.